In my previous post I shared my insight on the different types of mentors and how they have helped me on my journey as a woman in science. No matter what stage you are in your career you can benefit from having a mentor and being a mentor. Just like many relationships; I have found the best mentors when I was not looking. I was at the right place at the right time. I remember one particular story of finding a mentor. I was at a National Society of Black Engineers Convention and I attended a GEM Consortium Workshop: “Why you should go to graduate school?” I was so impressed, inspired and motivated after the workshop and I realized I found my mentor (the presenter). After the workshop was over I introduced myself and asked him to be my mentor and he said yes. He gave me great advice and the top two takeaway messages I learned were: Remember what you came for and this (insert hardship/challenge you are facing) could be a blessing in disguise. If you find yourself in a similar situation or find someone who would be a great mentor ask them for advice. People love giving advice. In my experiences, most people said yes. The people who said no were people who were super busy or I learned that they were not a good match for me. How did you find your mentor? In my last blog post I shared how self-mentoring and understanding what you need in a mentor is the first step when finding a mentor. One of my first mentors was my aunt who is an electrical engineer and she gave me so much insight on my career. In high school I had a mentor that took me under her wing and helped me work on my Gates Millennium Scholarship (GMS) Application. I was so happy when I found out I got the GMS Scholarship, especially after opening a rejection letter from my dream college. These are just two examples of how mentors played a role in my life and I am grateful that they were my mentors. Fast forward years later one of my professors told me that I will need different types of mentors. And he was right! A little over two years ago I wrote a blog post about journaling for self-mentoring and have been promising to share my favorite mentoring tips on Mademoiselle Scientist. Today I decided that it is time for me to share my mentoring tips and start my May Mentoring Series. I hope you find this information helpful and if you are a recent graduate or know a recent graduate check out my recent graduate series. Even though the spring semester is coming to an end now is a good time to start thinking about finding a mentor. This is a good time to network and meet people because there will be many social events going on campus and in the community. Don’t be too hard on yourself if you do not find a mentor right away because it takes time. Throughout my journey as a woman in science I had many types of mentors and have learned a lot from my mentoring experiences. Mentoring like any relationship is a partnership and commitment. As you may know I am a huge fan of the myIDP tool. I enjoy staying organized, reevaluating and updating my goals and the myIDP tools helps me do that. When you update the myIDP tool you will be able to see what things you need to talk to a mentor about and what things you can solve by self-mentoring. There are many resources available and many of them are free. Use the internet as a resource to find what you want in a mentor. Find articles (Levo League), blogs (The Thesis Whisperer, Science Mentor and Tenure, She Wrote) and people (Dr. Amy Freeman, Dr. Monica Cox and Dr. Renetta Tull) that are doing what you would like to do. This is a great way to find out what career pathways you want to explore. If you want a more hands-on approach check out my recommended books on my useful book list and seasonal reading lists. In my last Spotlight on Science post I talked about Dr. Greg Martin. For this Spotlight on Science/Mademoiselle Scientist post I will like to spotlight Dr. Amy Freeman. 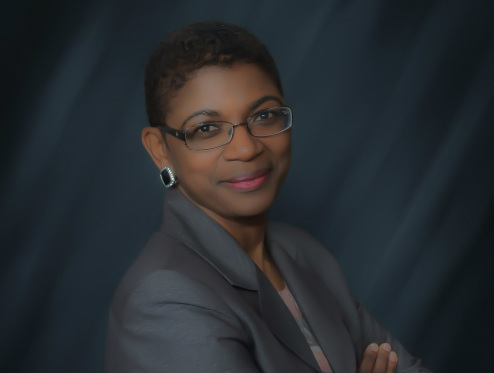 Dr. Freeman is a writer, speaker, educator and Assistant Dean of Engineering at the Pennsylvania State University. She holds a Bachelor of Science degree in Construction Management from Washington State University, and both a Master of Science degree in Architectural Engineering and Ph.D. in Workforce Education from the Pennsylvania State University. In addition, she belongs to numerous organizations including the American Society of Engineering Education (ASEE), National Society of Black Engineers (NSBE), Society of Women Engineers (SWE) and Society of Hispanic Professional Engineers (SHPE) to name a few. She is a perfect example of a great role model for women in STEM. The first time I met Dr. Freeman was at my first college fair. She told me about the opportunities at Penn State for students interested in STEM: Pre-First Year Science and Engineering Program and the Women in Engineering Program Orientation. A few years later I participated and both of those programs and they helped shaped me into who I am today. She is also one of the reasons I’m passionate about helping the next generations of scientists. When you meet Dr. Freeman you can see the passion in her heart when it comes to STEM diversity. She oversees many diversity programs such as the Multicultural Engineering Program (MEP) and Women in Engineering Program (WEP) among other things. Not to mention she is a dynamic speaker. If you want to sample a bit of her energy check out her YouTube Channel. Do you feel her energy? 5 Tips for Women in Science! 1. Find a mentor: Mentors are great! They provide guidance, advice and help you mature as a scientist. Every successful woman in science should have a mentor. If you are in school you can sign up for a mentoring match program. If not, considering looking for mentors in your existing network of science peers. Or maybe you want to start your science career. In this case look for potential mentors in your industry. Finding the right mentor is important so take your time before deciding on a mentor.